Complementing the eight gateways the airline currently serves, Taiwan’s independent airline will initiate flights from Taipei’s Taoyuan International Airport to Japan’s airports in Nagoya, Aomori and Matsuyama. Subject to government approvals, the initiation of these services will begin in quarter two of next year. Eva Air plans to begin daily flights between Taipei and Nagoya on June 6th, using a Boeing 787-9 Dreamliner configured for 304 passengers, with 26 in Royal Laurel (business) class and 278 in economy class. Early morning departures and mid-afternoon returns from/to Taoyuan International Airport will make onward connections easy and convenient for passengers arriving on early morning flights from North America and Europe. 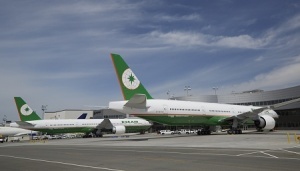 During the third quarter, Eva Air will introduce services from Taipei to Aomori and Matsuyama. At the same time, the airline will increase its capacity to Tokyo Narita, Osaka, Okinawa and Sendai by adding further flights on existing routes and deploying larger aircraft. By 2022, once all 24 of its brand-new Dreamliners have been delivered, EVA Air expects to have boosted its combined flight capacity by more than ten per cent on its Japan routes. Eva Air president, Clay Sun, said: “With more Boeing 787 Dreamliners being added to Eva Air’s fleet, we plan to reshape the Japan market and enhance our global network strategy. “In 2019, we will enhance our connections in Japan with the addition of gateways in Nagoya, Aomori and Matsuyama. “We will operate this increased level of service by using Boeing 787 Dreamliners and Airbus 330-300s on flights to Tokyo Narita and Osaka.